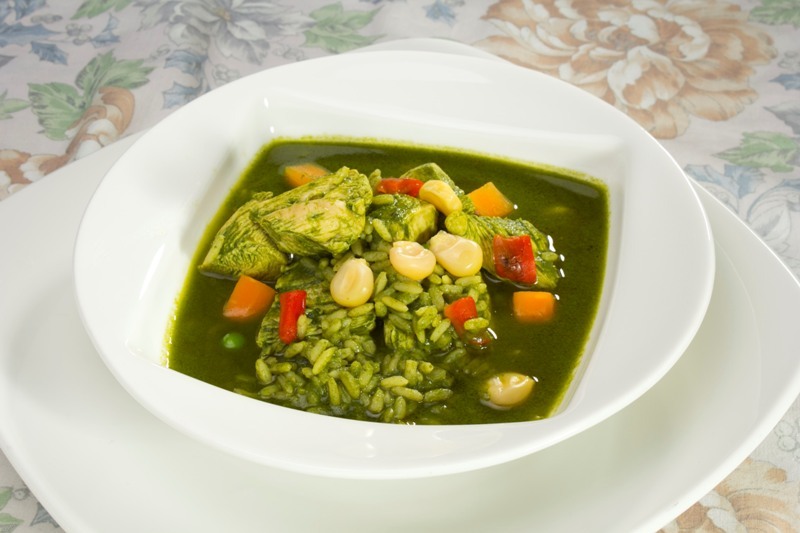 Aguadito de pollo is in the category of hearty and succulent soups, bursting with flavors and textures. Having a serving of this for lunch is a complete meal, so nothing else is needed, maybe only a dessert. This is the kind of soup we call “levanta-muertos” (literally, that wakes up the dead), because some people usually have it at dawn, after a party night, because it´s restoring and soothing. Variations include: turkey, hen, duck, fish, scallops, or mussels… it’s up to you, and all the versions are really good. If you choose to make the scallop variation, do not add the delicate scallops until you turn off the heat. Add them to the steaming soup and put the lid on, so they cook only with the remaining heat of the liquid. Beer is a delightful option, adding a wonderful depth of flavor, but you can leave it out of the recipe if you want. A fantastic vegetarian aguadito is even easier to make, with vegetable broth and full of veggies. In Peru we use the freshest vegetables available, but frozen veggies can be used instead. We also have huge green peas and they take a while to cook, that is why we add them almost at the beginning of the preparation, but in other countries they are incredibly young and tender, in which case you can add them at the end of the cooking. One thing is for sure: you don´t want mushy peas, just barely cooked. Cilantro is the main ingredient in this soup because it adds not only flavor but color. Aguadito is a green soup, and depending of how long you cook the cilantro paste with the onion, the color will be lighter or darker. You may even add some spinach leaves for a greener color, but a well cooked cilantro paste is enough for a deep and vibrant green. Serve in big soup bowls, adding a little bit of everything: a potato, rice, vegetables, chicken, and the flavorful stock…and provecho! Season the chicken with salt and pepper. Heat the vegetable oil in a saucepan over medium heat, add the chicken pieces, and sear them. Transfer the chicken pieces to a plate and keep warm. In the same saucepan sauté onion and garlic until golden. 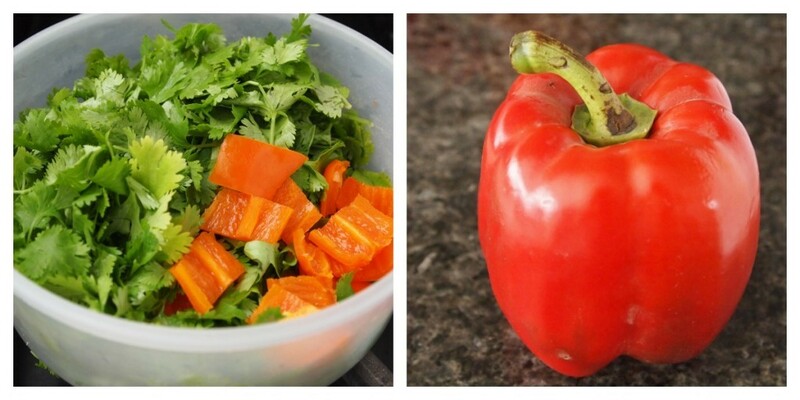 Process cilantro leaves and fresh aji amarillo with ¼ cup water in a blender until smooth; add to the onion mixture, along with the chicken stock, beer, if using, chicken, bell pepper, corn, and carrots. Bring to a boil, turn the heat to low, cover with a lid, and simmer for 30 minutes. If you are using chicken breasts, it´s better to add them along with the rice so they don´t overcook. Add rice and potatoes. 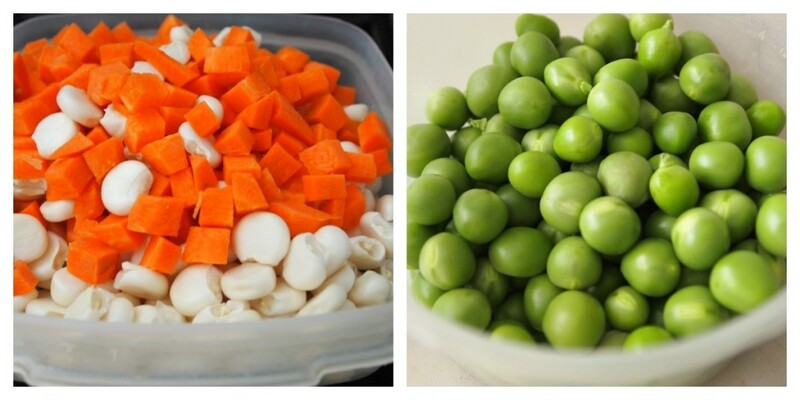 If you have big green peas, add them now. If they are small add them five minutes before turning off the heat. Put the lid on and simmer until the potatoes are tender and the rice is cooked. If the soup is too thick, add more stock. Taste for seasoning, and serve. This soup is perfect for this cool weather we are expecting. Your photos are so pretty and this soup looks so comforting. I’m looking forward to cooler weather, cozy blankets, and simple soup recipes. Perfect! Thank you! I made this last night and it was declicious! I can’t wait to have leftovers today. I was trying to look up a papas a la huancaina recipe on your site, but could not find. That might be a nice recipe for you to include on your blog. Thank you for all these delicious recipes. I plan to buy your cookbook for christmas. Of course we have a search option Kate! My boyfriend is Peruvian and a very picky eater when it comes to Peruvian food. We both loved this recipe. Thanks so much! That´s great, Alexandria! Aguadito is comfort food for Peruvians, and I´m sure he enjoyed it. Thanks for letting us know about it. 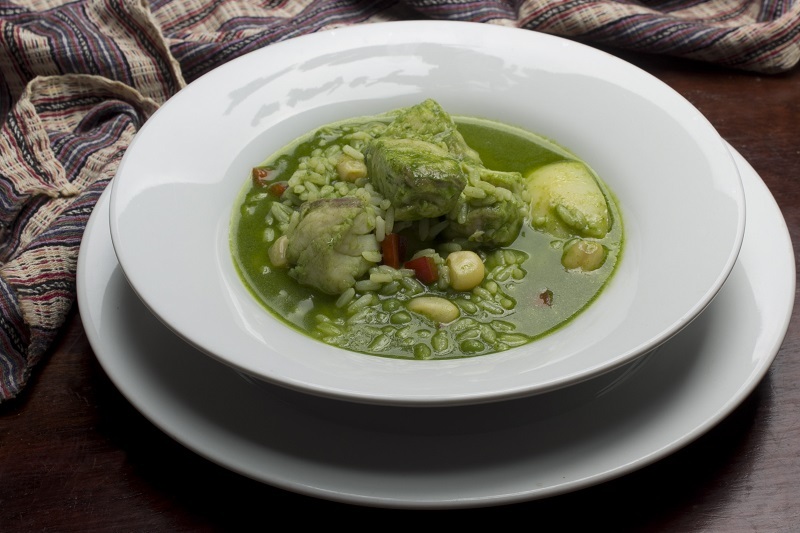 Is this the same soup as “Sopa Verde” which is cooked in the Central Andes? Do you cut up the chicken after you sear it? Looks amazing! 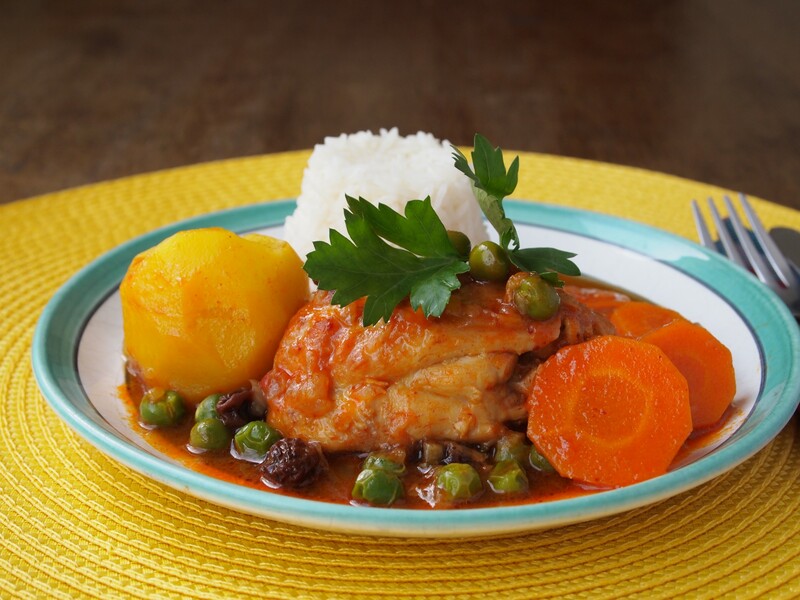 My husband is Peruvian, making this dish soon. You can cut up the chicken or leave the pieces alone. Hope you like it! I just made this for my wife’s birthday. My family loved it! Thanks for the recipe!